On the website, you can already find the synthesis, Conclusions & Recommendations presentation by Katie Dain, Viroj … et al. Warmly recommended, of course. You also find the PMAC statement here. The read of the week. In this blog Rachel Thompson shares her personal reflections from the recent Prince Mahidol Award Conference (PMAC) on the political economy of non-communicable diseases (NCDs), considering the wider implications for our understanding of Global Health. There’s a lot more in this blog, so make sure you read it (even if you don’t fully agree). Insightful & entertaining blog. Added bonus: some great pictures! Fyi – the launch of this special theme issue in London takes place later today, and will be livestreamed. “This week, The Lancet dedicates an entire issue to advancing gender equity in science, medicine and global health. The collection of papers highlights that gender equity in science is not only a matter of justice and rights but is crucial to producing the best research. By publishing new evidence, commentary and analysis, the journal calls on researchers, clinicians, funders, institutional leaders and medical journals to examine and address the systemic barriers to advancing women in science, medicine and global health. So as you might have guessed, do start your reading with this Editorial – Feminism is for everybody. The Editorial also quickly runs you through most of the other articles in the Collection. Being a man, I will refrain from recommending this or that article, so go through the collection, and read as much as you can . Horton also points specifically to the responsibility of men (in global health for this failure. Trump didn’t say much about global health during his State of the Union. With respect to health, however, Trump focused on two issues, drug pricing and his announcement of ‘the end of HIV in the US in a decade’ (or so he hopes). Stat News – Can the U.S. end the HIV epidemic in a decade, as Trump pledged? With some background on how this announcement came into being. See also Vox – Trump called for an end to HIV in the US by 2030. That’s totally realistic. (with the view of 7 experts) and NYT – Trump Plan to Stop Spread of H.I.V. Will Target ‘Hot Spot’ Areas. PS: you find the draft resolutions all here (scroll to the bottom). The Foundation was more popular in Davos, apparently, see Bloomberg – Philip Morris Rebuffed by WHO as It Tries to Rewrite Narrative. 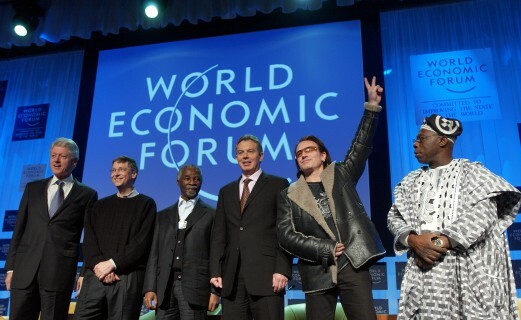 Well, let’s just say – we’re being kind for once – the Davos crowd is more gullible. For more horror news, see the ‘Planetary Health’ section. Final analysis of Kim’s legacy. Well worth a read. Profile of David Malpass, Trump’s likely pick for WB president (if nobody stops him). See also Politico – Trump picks World Bank critic Malpass to lead institution and Bloomberg. I’m afraid Owen overestimates European cohesion – these days, EU leaders only show strong cohesion when it comes to Brexit . 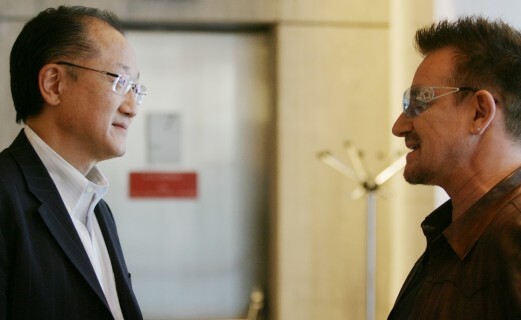 Devex – Will Trump’s nominee turn the World Bank against China? CGD – How Will Donors Spend $170 Billion This Year and Next? The paper considers how the donors should approach these replenishments instead. India is hosting the kick-off meeting of the Global Fund’s Sixth Replenishment fundraising drive in Delhi. 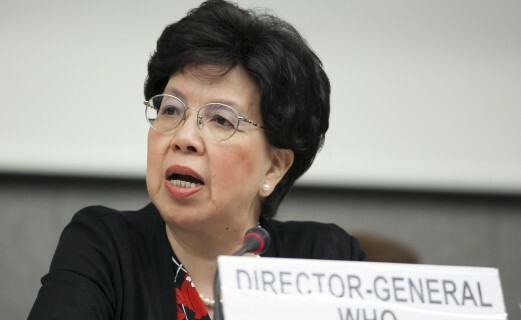 The Global Fund is seeking to raise at least US$14 billion for the next three years to help save 16 million lives, cut the mortality rate from HIV, TB and malaria in half, and build stronger health systems by 2023. Among others, an India Showcase Event already took place – “India stands committed to increase its overall health allocations to 2.5% of its GDP”; the India Working Group for Health Advocacy also sent an Open Letter to the PM of India ahead of the GF Sixth Replenishment Preparatory Meeting calling for a doubling of India’s pledge to the Global Fund and a doubling of national health expenditure. The full investment case will be published later today. Check Global Fund for updates later today, & Aidspan in the coming days. CGD (blog) – Gavi Going Forward: Immunization for Every Child Everywhere? …“An estimated 200 million women and girls alive today have been subject to this harmful practice” the UN chief said, “and every year, almost four million girls are at risk”…. For the latest snapshot, see CIDRAP. Lancet – Ebola in the Democratic Republic of the Congo: time to sound a global alert? 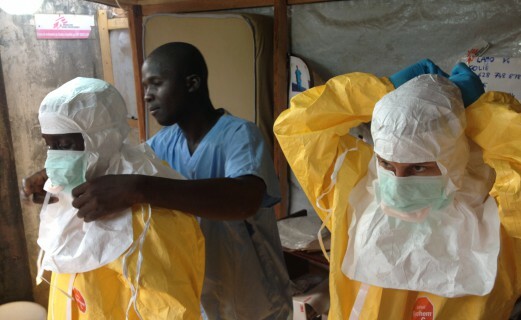 L Gostin et al; Ebola in the Democratic Republic of the Congo: time to sound a global alert? WHO’s message of ‘guarded optimism’ contrasted with this Lancet viewpoint by a number of public health experts, which came out on Monday. Criteria for a PHEIC have been met (already for some time, actually), they say, and although they commend WHO’s leadership & operational endurance in this outbreak, they feel it’s time to declare a PHEIC. They, however, admit, that announcing a PHEIC might also have potential adverse impacts. Devex – Why can’t pregnant women be vaccinated during epidemics? “As an Ebola outbreak worsens in Congo, one key group is being denied a life-saving vaccination.” An update on where things stand for pregnant women in terms of vaccination during epidemics. Linked to a new Wellcome Trust supported report. “It’s time to shift the paradigm”. By Lisa Dreier, David Nabarro and Jane Nelson. His view is not uncontroversial (among others, Martin Ravaillon weighed in, on Twitter, and there was also this blog How do we know the history of extreme poverty? (by Joe Hasell & Max Roser) ). Meanwhile, Hickel already reacted to Roser’s graph as well – A response to Max Roser: how not to measure global poverty. “The IMF is unpopular among global health scholars. But in the SDG era, should we be bringing this powerful actor in from the cold? “ Well worth a read. “…The architecture for the poorest countries changed again in 2009, in a series of reforms that further enhanced the IMF’s focus on safeguarding ‘social protection’. By failing to take account of this variation over time, the existing research is less informative than it could be about what the IMF does and what its consequences are for poor countries. As the IMF is left out in the cold, scholars are missing out on opportunities to influence this key global actor. Our work in GHPU has begun to address this. We have examined, for example, how the effects of IMF agreements on public health spending vary by type of agreement (i.e. those that are designed to emphasise social protection, and those that are not), and by the income category of the recipient country (see more here)….” Check out what they found. Alex Evans’ latest project, “fit for our polarised age”. With quotes from Devi Sridhar, Peter Piot and others. “A radical idea is gaining adherents on the left. “ Hope Global Health will take it up. And no worries, this is not mean to be a 21st century Stalinist-style purge, it would all go via “structural reforms” . Check out the programme. And follow the livestream. 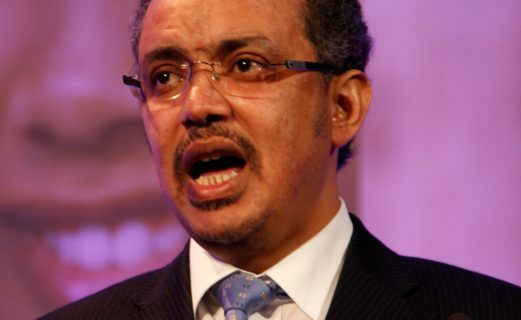 “A ‘league table’ is being drawn up showing how African countries are faring in the fight against neglected tropical diseases (NTDs). NTDs rarely make headline news, yet they affect 1.6 billion people in the poorest parts of the globe – including around 580 million people in Africa. That’s close to 50% of the entire population of Africa. On February 10th and 11th African leaders will attend the African Union Summit in Ethiopia. The Summit will include a presentation and a discussion of the African Leaders Malaria Alliance (ALMA) scorecard, a tool which tracks the progress against malaria as well the five most common NTDs, amongst other diseases. See also the WFP press release – Palantir and WFP partner to help transform global humanitarian delivery. Check out the revamped websiee. For all the latest, including how you can contribute to the UN HLM on UHC. “Based on work at Duke University, we believe that a winning game plan to institute high-value health systems involves three priorities….” 1. Create the financing and policy systems to encourage efficiency and innovation; 2. Strengthen public and private sector collaboration to shift care from hospitals to communities; 3. support networks to exchange learning. Plos Med – Setting targets for HIV/AIDS—What lessons can be learned from other disease control programmes? Among others, with this Comment – Reaching the 90-90-90 target: lessons from HIV self-testing and a Viewpoint already published online before Global PrEP roll-out: recommendations for programmatic success. Via Global Health Now: Measles is making a global comeback, with several outbreaks in different countries…. “…In many low- and middle-income countries, the challenges of scaling up successful localized projects to achieve national coverage are well recognized. However, because of the widely acknowledged success of national efforts to scale up interventions to prevent and control human immunodeficiency virus (HIV) infection, the disease is now largely managed as a chronic condition. The shift means that lessons from the HIV experience may be transferable to the rollout and scale-up of effective interventions for noncommunicable diseases in low-and middle-income countries…. “M. Arfan Ikram & colleagues assess the burden and preventability of co-occurring non-communicable diseases in the population-based Rotterdam Study.” This study got quite some attention in media. “New study from Stanford and NYU finds logging off causes ‘small but significant improvements in wellbeing’”. “The increasing prevalence of type 2 diabetes mellitus (T2DM) can have a substantial impact in low- and middle-income countries (LMICs). Community-based programs addressing diet, physical activity, and health behaviors have shown significant benefits on the prevention and management of T2DM, mainly in high-income countries. However, their effects on preventing T2DM in the at-risk population of LMICs have not been thoroughly evaluated….” Hence this systematic review. Short report of a side session at PMAC. Will be on Global Value Chains. Nice blog by Patricio Marquez. “Researchers have been left without access to new papers as libraries and the major publisher fail to agree on subscription deals.” Some Northern researchers (for example in Germany, Hungary, …) feeling the pain most in the South have been feeling for decades…. See also Devex: “On Thursday, the White House launched a women’s empowerment initiative spearheaded by Ivanka Trump, senior adviser to the president and first daughter. USAID will allocate $50 million to support the Women’s Global Development and Prosperity Initiative — or W-GDP. That money will create a new fund, which “aims to help 50 million women in developing countries realize their economic potential by 2025,” Ivanka Trump wrote in the Wall Street Journal. The initiative is in line with the Trump administration’s foreign assistance strategy, “which emphasizes investments that produce measurable results and help recipient countries become self-reliant,” Ivanka Trump wrote. In September, when Devex first reported on plans for the new initiative, Trump described it as an “umbrella” effort to consolidate a range of individual projects under three strategic pillars: vocational education and skills training; promotion of women entrepreneurs; and barriers that bar women from economic participation. Board elections: three new Board members were elected for the EV4GH network. Beibei Yuan (Western Pacific region), Jean-Paul Dossou (African region) and Radhika Arora (South-East Asian region). You find their profiles here.